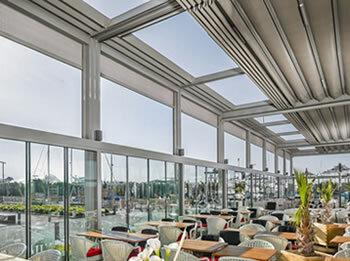 The All Seasons retractable roof system is ideal for use in homes, courtyards, restaurants and commercial applications where more than just protection from the sun is required. Built to last, the European designed All Seaons retractable roof awning is waterproof and engineered to withstand wind speeds up to 117km/hr (W32). 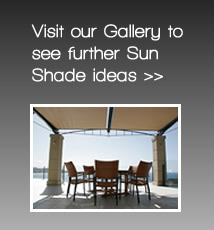 One of the features that differentiate the All Seasons retractable roof system from our Oztech system is the finish. The Oztech system is made with exposed keyways (grooves) on the aluminium rafters and posts that make it a very economical system to assemble and install. The All Seasons system has a more contemporary appearance. The extrusions are made with a unique double internal chamber so that the keyways and bolts are hidden from view giving the extrusions very streamlined appearance. 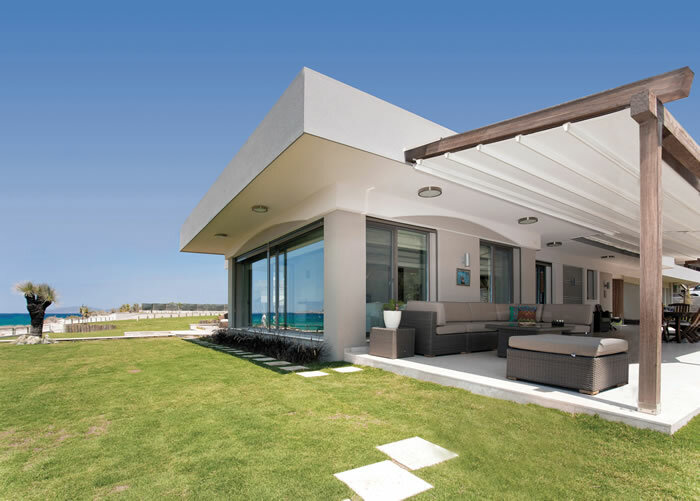 The clean appearance allows the All Seasons awning to blend naturally with all environments and integrate into a range of design styles, from minimalist modern to traditional. Another difference is the All Season retractable roof system is offered in a choice of over 120 powder coat colours at no extra charge. Folding away at the touch of the button the All Seasons retractable roof ensures the user can get the most out of their area by offering the flexibility of opening or closing the system to suit the weather conditions. The All Seasons retractable roof system offers an array of options and lends itself to being a flexible solution for all applications thanks to its innovative versatility. 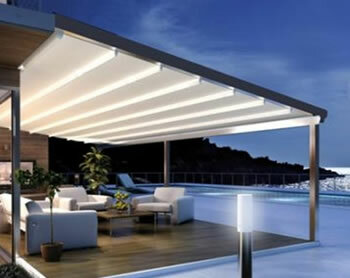 Cleverly designed drive system, integrated water seals and optional dimmable 360 degree LED down lighting.. Using the latest European design and engineering the All seasons Series is made from architectural grade aluminium and stainless steel fixtures that have been developed to ensure smooth operation and high durability. Thanks to the unique high torque motor drive system the fabric is always kept under perfect tension by a self adjusting motor unit. Using optional weather sensors such as wind or rain sensors provides the added benefit of automatic control even when the user is away. SIZE WIDTH Min. 2.0m. Max.9.0 metres in one fabric or linked to cover larger areas.